Note: AirPlay Mirroring will only work for “the new iPad” (3rd generation) and the iPhone 4S or later devices. Other AirPlay functions like YouTube over AirPlay will work with older supported devices. If you would like to project your iPad’s screen to any PC on your network, you can do so with AirServer. AirServer runs on your PC and broadcasts its availability to all AirPlay mirroring capable devices on the same local network. With version 0.9.3.1 (currently in beta) and onward, you can stream audio too. I have earlier told you about PhotoMagician, the program that let you convert pictures “at the drop of a hat”. Now this great tool has become even greater. As before you can predefine custom settings to suit your needs, but now PhotoMagician also comes with preset settings for the most common devices out there. But the most interesting new functionality is Format to Format Settings. We’ve posted how to Jailbreak (JB) your iDevice before. With the release of iOS 4, inevitably a Jailbreak and unlock was only a matter of time. Here’s a list of devices that this JB will work on. Please note that you’ll need to be connected to a WIFI network to complete this guide. I know this is a little overdue but i wanted to be absolutely clear about the information surrounding this Jailbreak (JB from hereon in) before posting about it. Here’s a list of devices that this JB will work on. Please note that this method is a JB only and is not an unlock. If you rely on an unlock do not use this. An unlock is unlikely to emerge until 4.0 has been released. 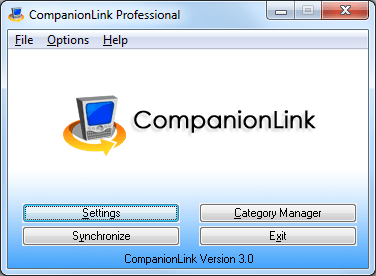 PROS: Supports most modern smartphones, together with the latest versions of Outlook. Supports OTA (Over the Air) Synchronisation, as well as wired. CONS: Can’t think of any! VERDICT: A great piece of software for any smart-phone user! I would highly recommend it to anyone! PRICE: Depends what you want. It varies from $39.95 – $99.95. Watch this space though, there may be a giveaway soon! This week I’ve showed you how to share files and stream media on your home network. This is pretty cool stuff; however, you may want to take this one step further and share your files anywhere in the world. In this guide, I’ll show you how to do this in one of the most simple ways possible–by using a program called Orb.